The world's hopes for South Sudan have been dashed as the young country has been devastated by human rights violations. The question now is how to act to put an end to the violence. 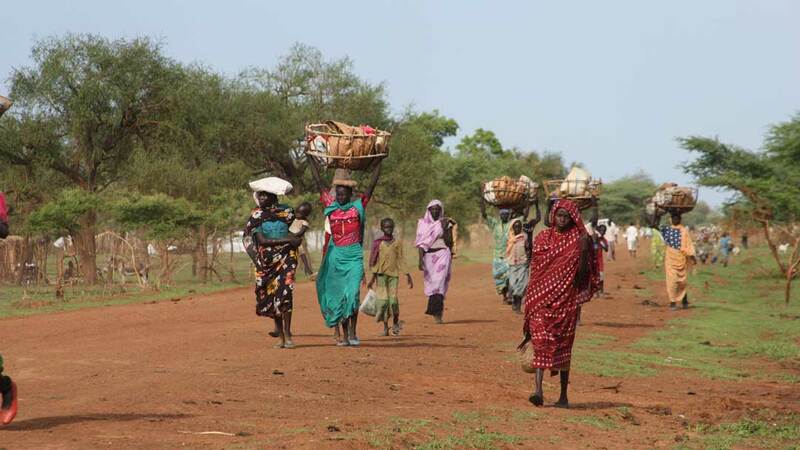 South Sudan, the world’s youngest country, also happens to be the most volatile and unstable. It is currently one minor step away from total collapse—the Fragile States Index lists South Sudan as the country most likely to fail. South Sudan’s President Salva Kiir sacked his deputy, Vice President Riek Machar. The reason given was that Machar was plotting a coup against Kiir’s government—an accusation that Machar’s allies have repeatedly denied. This civil war was viewed by many as just another hiccup in the long road towards independent existence. Things kept turning from bad to worse—millions were displaced, even more were abducted. Peacekeeping forces were called in, both by neighboring African states as well as the United Nations, but nothing really helped in the long run. Civilian casualties grew exponentially. This is not the first time, though. Back in 2017, South Sudan had declared famine, but international aid was quick to arrive. This year, though, the story seems complicated. UN response plan has received only around 4% of its expected 2018 funding so far—more than half of South Sudan’s population might be facing hunger by May. Recently, South Sudan appointed a new finance minister, Salvatore Garang Mabiodir. The erstwhile finance minister was sacked with no explanation. Economy, in general, has stagnated in every sense of the word. In 2013, one USD was equal to approximately five South Sudan Pounds. Today, one USD is somewhere around 240 South Sudan Pounds. South Sudan’s economy is heavily dependent on oil. Infrastructure has failed to develop due to the never-ending conflicts in the country. As such, this faltering is desperately trying to make some rich friends. It is ironic that South Sudanese government is badly trying to make amends with the same “Arabs” it broke away from—the country has expressed interest in joining Arab League. The reason being cited is that Sudan is an Arabic-speaking country and this makes South Sudan one too—the fact that South Sudan broke away from Arabic-dominated Sudan is now being ignored. Times can change pretty fast. This article was originally published at Political Persicope on March 19, 2018.